This listing is for ONE pair of SUPERKID SPARKLE WRISTBAND CUFFS! These shop super fast in 3-5 days tops! 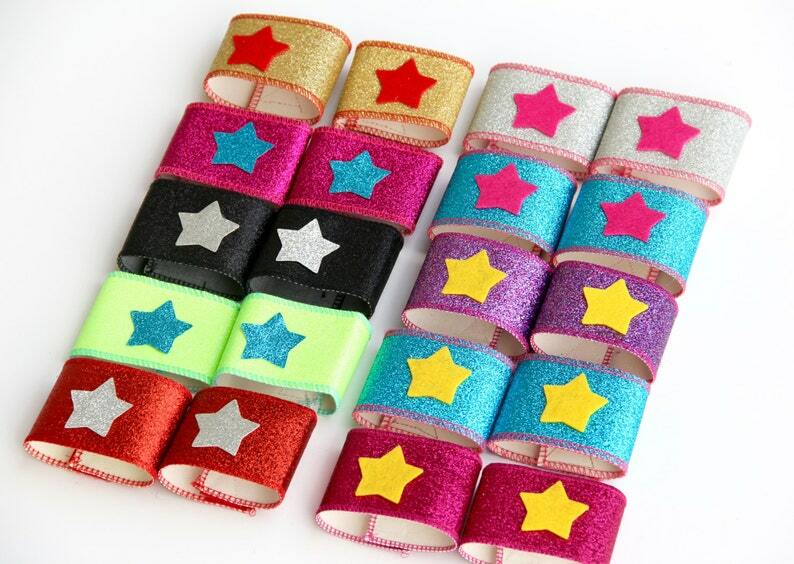 Sparkle Wrist bands come in a set of 2. Choose from lots of options! The perfect super accessory for any little hero. 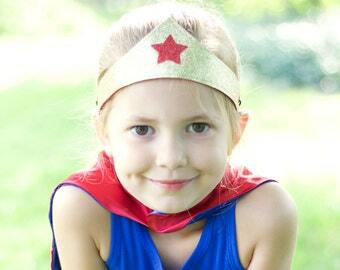 Our superkidcapes original sparkle wrist band sets coordinate perfectly with our capes too! They are the perfect superhero accessory for boys and girls. You choose your set option! These power sparkle cuffs are made from a durable sparkle fabric. Sparkle does not rub off. The cuffs are serged on the insides and close underneath with sewn velcro. They are sized to fit a small to average sided wrist, child or adult. The perfect super accessories for any little hero. Very cute gloves. My daughter loved them! They made them the colors we needed and shipped very quickly. Thank you!